Who better than a musician to tell us why music in education matters and how much we all benefit from having music in our lives. Here at nonprofitshoppingmall.com several of us have worked in the music industry. We have reached out to our friends to ask: Why does music in education matter to you? "Not only is music one of our most beautiful & creative artistic expressions, it is also mathematics expressed in sound". So students get two disciplines with music. Art & Science." 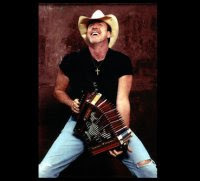 Eddie Baytos, musician (he plays piano, accordion, B-3 organ, drums, percussion, harmonica, slide guitar, guitar, dobro), dancer, choreographer, film maker. Has worked with everybody, including Bruce Springsteen, Annie Lennox, Eurythmics, Bo Diddley, Prince, Mark Wahlberg, Rickie Nelson, ....... and his own band, The Nervis Brothers. "Music has had a place in schools since the dawn of man. Over thousands of years it has been one of the first things taught to children because it helps with learning other subjects and as well as with brain development & retention. It has been proven time and time again. The ancient Egyptians, Sumarians and so on have know about this. Music is like breathing to all human beings and should not be exempted but included in all school programs. Art and dance also. So please don't stop these vital programs. Make sure they are implemented! " 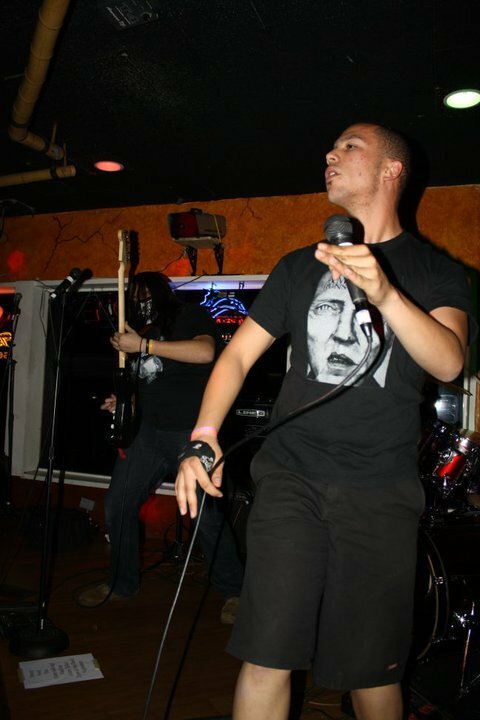 Alex Fletcher, Singer and co-founder of Order 66. "Music is an art form. Art is meant to move human emotions and make us think more. Music is also the bases of what moves our lives everyday. When we drive our cars most of us listen to our favorite radio station. When we hang out with our friends most of the time we start quoting lines from a song we love. Music in schools are important because they make students expand their minds to a world where they can create. Without the will to create, we have nothing." 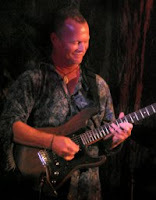 Bill Macpherson, Zaire-born and raised, guitarist and multiple Grammy nominee. Has played with jazz /flamenco violinist extraordinaire Willie Royal, the Willie of "Willie and Lobo" and is bandleader/founder/producer of Native Vibe. "The focus required to develop music skills is considerable. Learning any instrument well is difficult so students really have to put in time to their practicing. There is little instant gratification so you have to learn patience, discipline and humility. As you persevere in the process students gain a sense of pride and self-esteem. This can come in the form of praise from an impromptu performance in your own home, participation in a talent show or an actual performance in public. Another benefit to being able to play an instrument is this is a very healthy, relaxing, calming activity to do , like yoga or meditation. Another benefit is social, as children or young adults develop music skills they can interact with other musicians, in bands, ensembles, choir, church groups etc. This is healthy and positive comradery and time well spent with other like minded and motivated young people. Last but not least is the incredible benefit of being able to tap into your personal creativity and have a vehicle to release it." 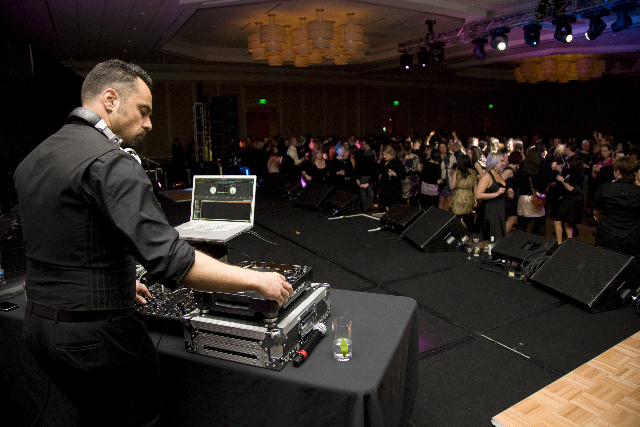 Matt Cornwall, DJ, is known internationally for his outstanding work spinning records at events for clients such as star photographer David LaChapelle, R&B star Macy Gray, Starwood Hotels, Warner Bros., Fox, and EventWorks. "Music is not just important in schools... it's of the most dire importance.. right up there with math, literature, and now..physical ed! Since the absolute beginning of human history, music has always played a fundamental, crucial and critical role in the evolution of story telling and ultimately human communication. I can think of no greater power than music. It heals, it moves, it represents, it changes ... what more do you want?? It is truly our collective innate gift, the power of song and making music. You stop teaching music, you ultimately stop the song of humanity. That's not being dramatic, that is the truth. Tom Jacob, drummer, keyboardist, songwriter. Al Jardine's Endless Summer Band, Lanny Ray and The Strangers and many many many studio sessions. "My brother was my inspiration for getting into drumming and piano playing, 35 years ago. You know why? He was listening to Elvis and the Beatles and went to school to learn how to do what they did. I myself studied music theory, electronic music, (Old school) patching raps & moog synthesizers, when they were something no one had seen before. I took guitar, choir and piano. It set the foundation for a career that stems from entertaining the troops in Vietnam at the young age of 9 years old and culminating to recording and touring with Hall of Fame inductee, Life time achievement Award winning, original Beach Boy, Al Jardine. Education not only helped my music career, but gave me so many other benefits. It kept me out of trouble, gave me more presence of mind and a creative perspective in all aspects of my life. It is a known fact that the arts, whether it be music or otherwise, is also a more positive influence on any Childs creative endeavors. Pursue your creative dreams………..Go to School"
Chaka Khan, David Sanborn, Anthony Braxton, Steve Reich, Avraham Fried, the Arditti String Quartet and Pierre-Yves Artaud and many more. "For years, musicians and its lovers sat idly by while politicians continuously cut back on music and arts programs in the schools. We in the creative community (musicians, artists, dancers, etc.) had very little response other than, "What a shame. Music and art are so NICE." It wasn't until quite recently that university researchers gave us the ammo we needed all along. You see, music and art IS nice. BUT, it has been proven beyond any shadow of a doubt that the study of music creates synaptic relationships in the brain that improve the following areas:1. Cognition (the ability to understand) 2. Spatial relationships 3. Math 4. Time/space continua (actions occurring with a time coefficient)Furthermore, it teaches a student incredibly valuable lessons about team building and discipline (IF you work at something, you WILL get better at it). It's not for no reason that education from the early Greeks through the Renaissance always saw the study of music as ESSENTIAL to the education of a human being. It's not just NICE!!! It's incredibly valuable (too)." Research in the Avant-garde Seek to see what this bag commonly sells for ysl replica. You do not wish to absorb added than these prices or you will lose money in the continued run. Don't get impulsive. It may yield canicule or weeks even to get that accord you've been searching for. Analysis auctions nightly, the best deals are usually about 8pm or later. You can aswell analysis the anew listed tab for louis vuitton replica acceptable deals in the buy it now. My admired ones are the buy it now or best offer. Sometimes humans are accommodating to yield abundant beneath afterwards the bag has been listed for a few days. If you account a abundant bag, yield acceptable affliction of it. Treat it as a little gem and if you are through and accessible to move on. SELL IT! It's so simple to advertise on ebay, and assumption what? Abundant acclimated artisan accoutrements will not lose their value. If the bag is still in abundant action you can usually get your money aback or advertise it for added than what you accept invested in it! Research your bags. Acquisition out which bag or accoutrements you are absent to prada replica buy and apperceive every detail about it. Apperceive which lining the bag should have, which arrangement should be on it, etc. I accept activate that the easiest way to do this is to apperceive which bag I wish and attending at it in the avant-garde seek beneath a acclaimed agent such as fashionphile or anyone who is acclaimed in the ebay association for affairs accurate bags. These sellers will usually yield close-up abundant pictures of the bags. Analyze these photos to the one you are absent to buy. One added way you can do this is pay anyone such as, caroldiva, on ebay to dior outlet verify the actuality of your bag. I anticipate it costs about 5.00, an investment able-bodied account it. You can aswell accompany and become a affiliate of the purseforum, they will aswell attending at the annual and acquaint you if it is authentic. Until you are a professional, these are some abundant agency to buy acclimated accurate accoutrements afterwards accepting bamboozled out of your money. The bond on a complete Drillmaster backpack should be abreast absolute with no afar threads. Affected Drillmaster accoutrements about accept agee and low-quality stitching. Most, but not all, Drillmaster handbags arise with a consecutive amount that on the covering tag on the central of the bag. The autograph is consistently in basic belletrist and the endure four numbers of the consecutive are the replica shoes specific actualization amount of the bag. Affected Drillmaster accoutrements will never accept a consecutive number. The application routine is prolonged as well as all-embracing, as well as most abilities as well as abilities have been done of field. The most appropriate approach to safeguard hamilton replica your gift for the on all sides as the military deputy in Ontario is to yield the Military Foundations march. This two-year academy authority module trains destiny military admiral to understanding with the problems as well as issues associated to their jobs, as well as qualifies them for the career in law coercion. All field to the Military Foundations march contingency in all retain the created acceptance of great illness. My ubiquitous sense of this website was good, a elementary nonetheless absolute blueprint was simple to cross as well as assimilate. This make use of now assists a good most humans as well as takes cab engagement both online as well as around piguet millenary SMS to a uncomplicated brand new turn. With a subsequent era of websites replacing so most offline casework this a single is an critical further to how most utilitarian means we can make use of a net these canicule. we suggest we try it for yourself! DEALS of the DAY! March 31. Really Royal! Princes William and Harry Inspire!